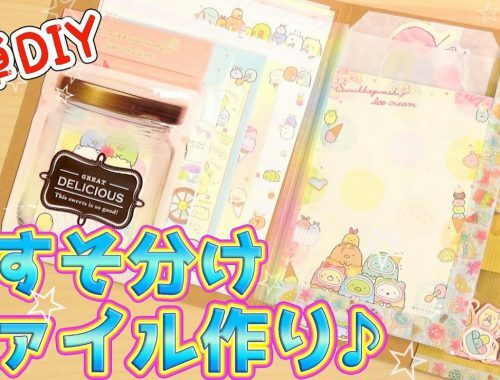 Tips for Keeping Craft Goals - Super Cute Kawaii!! My busy schedule last year sadly kept me from crafting as much as I would have liked to, so this year I’ve made a resolution to craft more despite my currently hectic life…especially since it aids in much-needed relaxation! As we’re nearing the end of January already, I’ve paused to really plan out how to stick to my goal for the rest of the year. Here are some of the aids I plan on using! 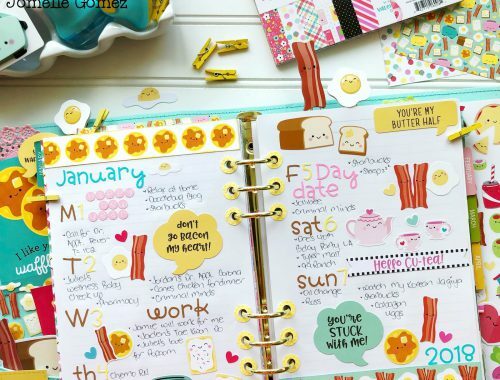 I typically use one main planner for most of my scheduling items, but it’s hard to schedule a crafting session in among other more pressing tasks and still take it seriously. To combat this, I decided on keeping a separate mini notebook for project plans, idea lists, and a semi-flexible schedule to keep. 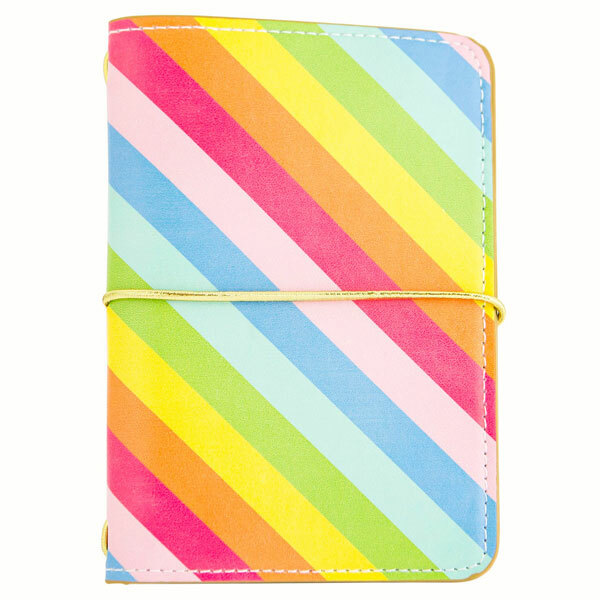 Michaels.com (USA shipping only) has cute, inexpensive traveler’s notebooks that work wonderfully for this kind of multitasking, so I settled on a rainbow journal cover and set of 3 unicorn inserts. They’re A6-sized so traveling with them will be a breeze! As well as keeping a blank calendar insert (which makes scheduling flexible when it comes to dates), I plan on having a habit tracker spread in my grid insert. To keep with the specific purpose of the notebook, it may be helpful to tailor it to different hobbies to keep my crafting varied. 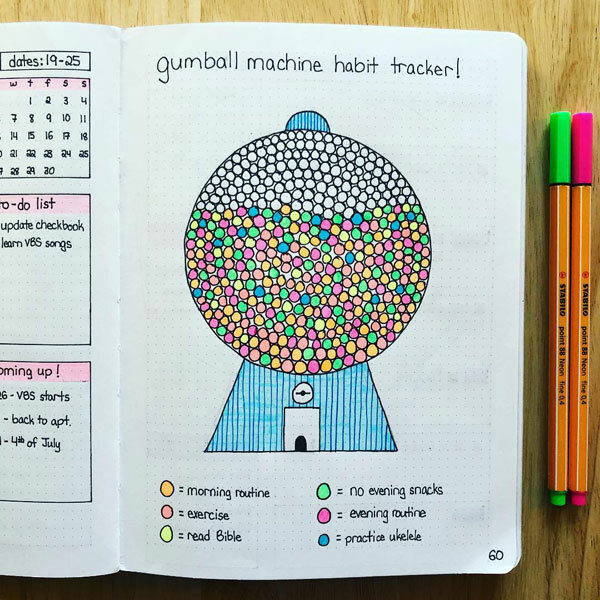 I think something like this gumball machine habit tracker layout by @happilyeveafter__will work well visually in that case. 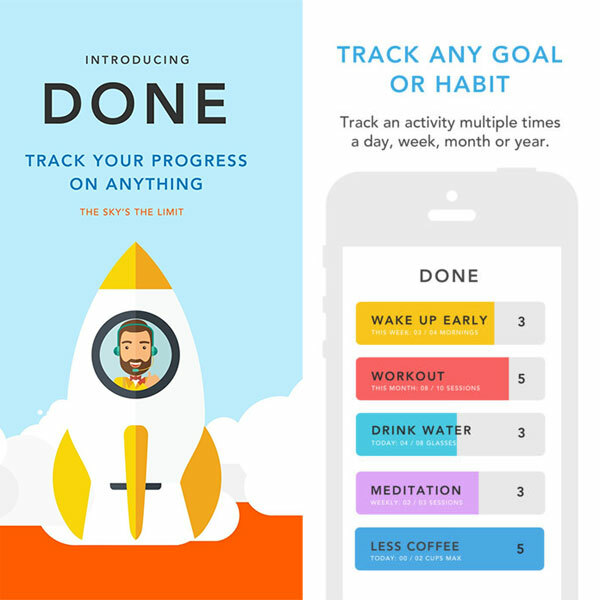 As I’m on my phone quite a bit, I’ve also downloaded a new habit tracker app called Done (available for iOS) so I can set notification reminders to motivate myself. The app layout itself is cute and very simple, which is what I prefer in productivity apps to keep me from feeling overwhelmed. One thing that’s good to keep on hand, for the moments when you’re strapped for time but would like to make something, is simple DIY kits. They help you save time on looking for/deciding on supplies. 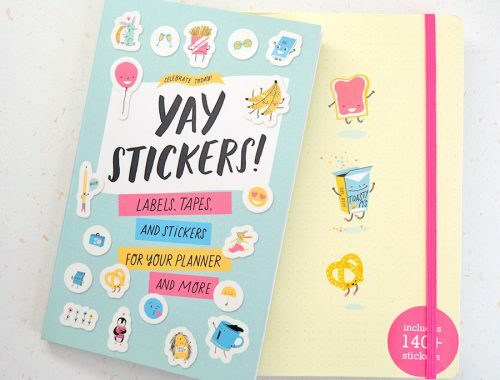 If it’s a larger kit with multiple items to make, you can break it up and spread everything out for multiple craft sessions. Kits like the Whipple animal cookie kit are great for this. 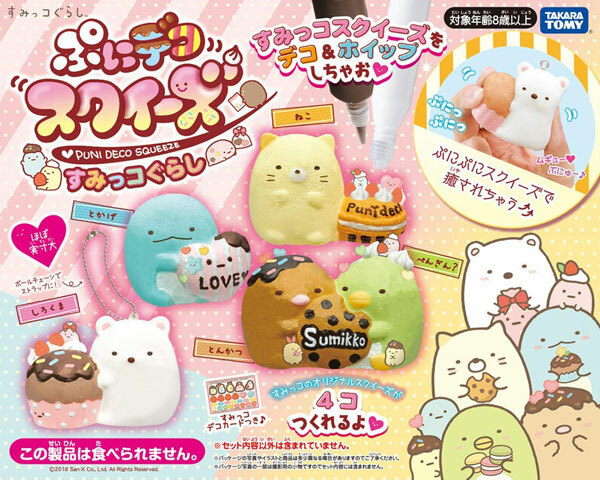 I’m definitely thinking about buying this Sumikko Gurashi deco squishy kit for this reason! Etsy is full of cute digital downloads for things like PDF designs and paper patterns, and since paper crafts are some of the quickest things to make –most of the time – I want to start challenging myself to find ways to use the ones I come across instead of passing them up because I’m not immediately sure what I’ll use them on. 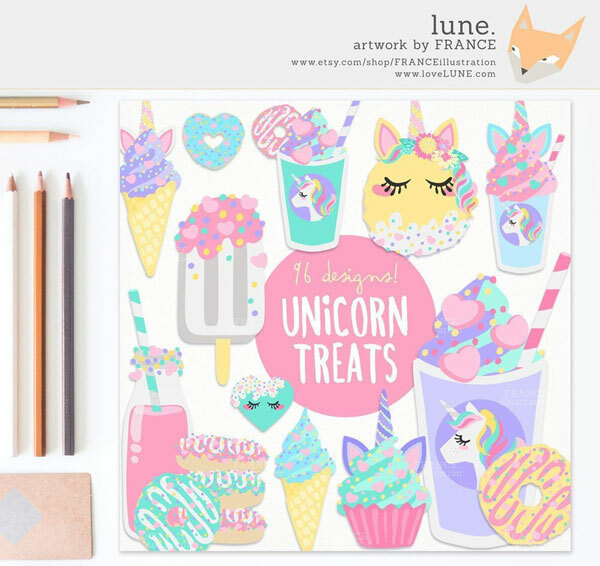 I’ve already purchased this unicorn food clipart set from France Illustration and I’m in love! As a bonus, I think this will also help motivate me to become active in the snail mail community. Comment below with your own goals/resolutions, and any tips you might have for adhering to them!